Eugene Murl FARR [Parents]-11649 was born 1 on 2 Feb 1927 in Virgil, Greenwood, Kansas, United States. He died 2 on 9 Oct 2011 in Emporia, Lyon, Kansas, United States. Eugene married 3 (MRIN:4981) Betty Jane VOGTS-12058 on 29 Apr 1951 in Olpe, Lyon, Kansas, United States. Eugene was counted in a census 4 in 1940 in Emporia, Lyon, Kansas, United States. Eugene Murl Farr, 84, Emporia, Kansas, died at his home Sunday, October 9, 2011. Eugene was born at Virgil, Kansas on February 2, 1927, the son of Murl and Sophia Mae (Fechter) Farr. He married Betty Jane Vogts at the Zion Lutheran Church, west of Olpe, Kansas on April 29, 1951. She died January 11, 2000 in Emporia. Surviving family members include: three sons, Melvin Eugene Farr, and his wife Judy, Oceanside, California, Gene Orvin Farr and his wife Susan, Emporia, and Michael Wayne Farr, Emporia; three daughters, Carolyn Jean Nomura and her husband Gene, of Emporia, Sharon Rae Mayers and her husband Brian, of Emporia, and JoAnn Cuadra and her husband Robert, of Emporia; a nephew that he helped raise, David Overturf of Texas; grandchildren, Jonathan Farr and his wife Stephania, Christopher Farr, Jennifer Abdine and her husband Derek, Brian Nomura and his wife Rachel, Steven Nomura, Kristin Nomura, Taylor Mayers, Andrew Mayers, Elizabeth Farr, Jacob Farr, Matthew Cuadra, and Aaron Cuadra; and great-granddaughter, Madilyn Sakura Nomura. He was preceded in death by his parents; a daughter, Brenda Jane Farr, who died at birth; and three brothers. He was a member of Messiah Lutheran Church where he had served as an usher and trustee. Mr. Farr had been a route salesman early in his life, working for Kitty Clover and Rainbow Bakery, and he also worked for Braums Dairy. He was a carpenter in the Emporia area and most recently had worked for Keith Thomas. Funeral Services will be at Messiah Lutheran Church on Thursday, October 13, 2011 at 10:30 AM. The service will be conducted by Pastor Norbert Tegtmeier of the church. Interment will be in the Zion Lutheran Cemetery, west of Olpe, Kansas. The family will receive friends at Roberts-Blue-Barnett Funeral Home Wednesday evening, October 12, 2011 from 7:00 until 8:00 P.M.
A memorial has been established for an education fund for his great-granddaughter, Madilyn Sakura Nomura. Contributions may be sent in care of the funeral home. Betty Jane VOGTS-12058 was born on 22 May 1931. She died 1 on 11 Jan 2000 in Emporia, Lyon, Kansas, United States. Betty married 2 (MRIN:4981) Eugene Murl FARR-11649 on 29 Apr 1951 in Olpe, Lyon, Kansas, United States. M i Melvin Eugene FARR-12059. Brenda Jane FARR [scrapbook]-12065 was born 1 on 2 May 1955 in Olpe, Lyon, Kansas, United States. She died on 2 May 1955 in Olpe, Lyon, Kansas, United States. F iii Carolyn Jean FARR-12062. F iv Sharon Rae FARR-12063. M v Michael Wayne FARR-12061. F vi JoAnn "Joan" FARR-12064. M vii Gene Orvin FARR-12060. Loren D. FARR [Parents]-11650 was born 1 on 8 Sep 1928 in Kansas, United States. He died 2 on 29 Sep 1988 in Kansas, United States. Loren married (MRIN:4982) Marleyne G-11681. Loren was counted in a census 3 in 1940 in Emporia, Lyon, Kansas, United States. M ii Leslie D. FARR-12067. Lloyd V. FARR [Parents] [scrapbook]-11651 was born 1, 2, 3 on 14 Apr 1930 in Kansas, United States. He died 4, 5, 6 on 31 Dec 1995 in Kansas, United States. Lloyd married (MRIN:4983) Lola E.-12070 on 24 Aug 1952. Lloyd was counted in a census 7 in 1940 in Emporia, Lyon, Kansas, United States. Orville FARR [Parents] [scrapbook]-11652 was born 1 on 12 Dec 1931 in Kansas, United States. He died 2 on 6 Aug 1971 in Kansas, United States. Orville married 3 (MRIN:4984) Barbara Gail FULLEN-12071 on 27 Mar 1953 in Emporia, Lyon, Kansas, United States. Orville was counted in a census 4 in 1940 in Emporia, Lyon, Kansas, United States. Barbara Gail FULLEN-12071 was born 1 on 22 Apr 1936 in Newton, Harvey, Kansas, United States. She died 2 on 10 Oct 2011 in Emporia, Lyon, Kansas, United States. Barbara married 3 (MRIN:4984) Orville FARR-11652 on 27 Mar 1953 in Emporia, Lyon, Kansas, United States. Barbara Gail Farr, 75, died at her home in Emporia, KS, on Monday, October 10, 2011. She was born April 22, 1936 in Newton, the daughter of Charles S. Fullen and Velda A. Pruitt. Her parents preceded her in death. Barbara married Orville Eldon Farr in Empoiria on March 27, 1953. He preceded her in death on Aug. 6, 1971. Barbara is survived by their three children: Rickey L. Farr and his wife Lynn of Council Grove, KS; Debra D. Scoggin and her husband David of Emporia; and V. Gail Burns and her husband Victor of Lincolnville, KS; five grandchildren and six great grandchildren. Barbara was cremated and her memorial service is Wednesday, Oct. 19, at 10:30 a.m. at the First Friends Church with Pastor Charity Sanstrom officiating. A private family burial will be held at Pleasant Ridge Cemetery in Olpe, KS. In lieu of flowers, the family requests memorial donations be made to First Friends Church, 615 E. 6th Ave., Emporia, KS 66801. F i Rikey L. FARR-12072. F ii Debra D. FARR-12073. F iii Velda Gail FARR-12074. Darel Leroy FARR [Parents] [scrapbook]-11665 was born 1 on 31 Oct 1940 in Ogden, Weber, Utah, United States. He died 2 on 7 May 1966 in Ogden, Weber, Utah, United States. Darel married (MRIN:4986) Rosalee Ray CLARK-11666. William FREEMAN [Parents] 1, 2-11667 was christened 3, 4 on 18 Nov 1598 in Pulborough, Sussex, England, United Kingdom. He was buried 5, 6, 7 on 16 Sep 1666 in Cowfold, Sussex, England, United Kingdom. William married 8 (MRIN:4987) Jane GRATWICK-12131 on 21 May 1638 in Shermanbury, Sussex, England, United Kingdom. Mentioned in his mother's will. Prerogative Court of Canterbury, Bowyer 56. Jane GRATWICK 1-12131 was christened 2 on 1 Dec 1600 in Cowfold, Sussex, England, United Kingdom. Jane married 3 (MRIN:4987) William FREEMAN-11667 on 21 May 1638 in Shermanbury, Sussex, England, United Kingdom. Stephen MCINTIER-11682 was born on 17 Apr 1817 in Fitchburg, Worcester, Massachusetts, United States. He died on 19 Nov 1900 in Fitchburg, Worcester, Massachusetts, United States. Stephen married 1 (MRIN:4988) Eliza FARR-11669 on 28 Dec 1845 in Fitchburg, Worcester, Massachusetts, United States. Eliza FARR [Parents]-11669 was born 1 on 6 Jul 1815 in Groton, Middlesex, Massachusetts, United States. She died on 3 Dec 1873 in Fitchburg, Worcester, Massachusetts, United States. Eliza married 2 (MRIN:4988) Stephen MCINTIER-11682 on 28 Dec 1845 in Fitchburg, Worcester, Massachusetts, United States. John Putnam JAQUITH-11673 was born 1 on 24 Aug 1806 in Fitchburg, Worcester, Massachusetts, United States. He died about 1839 in Fitchburg, Worcester, Massachusetts, United States. John married 2 (MRIN:4989) Lucy FARR-11670 on 2 Nov 1833 in Fitchburg, Worcester, Massachusetts, United States. Lucy FARR [Parents] [scrapbook]-11670 was born 1 on 4 Oct 1817 in Groton, Middlesex, Massachusetts, United States. 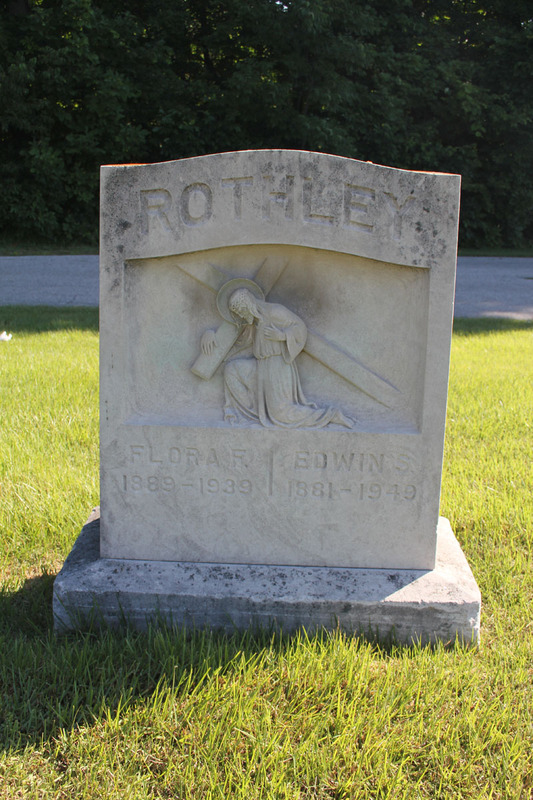 She died in 1870 in Hollis, Hillsborough, New Hampshire, United States. She was buried in Hollis, Hillsborough, New Hampshire, United States. Lucy married 2 (MRIN:4989) John Putnam JAQUITH-11673 on 2 Nov 1833 in Fitchburg, Worcester, Massachusetts, United States. William Read PIERCE-11672 was born on 26 Sep 1821 in Hollis, Hillsborough, New Hampshire, United States. He died on 19 May 1909 in Medford, Middlesex, Massachusetts, United States. He was buried in Hollis, Hillsborough, New Hampshire, United States. William married (MRIN:4990) Lucy FARR-11670 on 20 Nov 1851 in Fitchburg, Worcester, Massachusetts, United States. Lucy FARR [Parents] [scrapbook]-11670 was born 1 on 4 Oct 1817 in Groton, Middlesex, Massachusetts, United States. She died in 1870 in Hollis, Hillsborough, New Hampshire, United States. She was buried in Hollis, Hillsborough, New Hampshire, United States. Lucy married (MRIN:4990) William Read PIERCE-11672 on 20 Nov 1851 in Fitchburg, Worcester, Massachusetts, United States.